Your career is a defining factor of your life. It has a spiraling effect on your state of mind, your relationships with your peers or at home. A fruitful career is a big aspect of your life as 40-50% of your lifetime will be spent on working in an office. You can be highly talented, have a competent expertise of your domain but a lack of guidance or a specialized support in finding what’s best for you and your future could result in stagnancy. With a background in Computer Applications, Rajesh has had successful career in the technical domain. 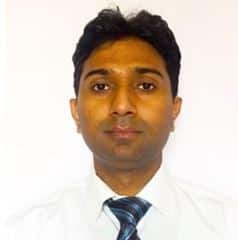 Armed with a Masters’ Degree from Kurukshetra University, and well laced with his experience, Rajesh is known for excellent domain knowledge, sheer intelligence and hard work. What was needed was an MBA from a reputed business school which will propel his career to the newer and better heights. When he came to us, his GMAT score was substantial but we intended him to get the best out of the entire lot of business schools. Although a mature and experienced professional, Rajesh faced substantial hurdles on his MBA journey. He had more than 13 years of experience already, and felt that this would be too much to be considered for a full-time MBA program, much less a top-ranked full-time MBA program. In addition, Rajesh was also not clear on the best options available to him between Executive MBA and Full-time MBA programs. Finally, Rajesh was unsure how he could best leverage his work experience as a positive, rather than a negative, and demonstrate an actual need for a full-time MBA to potential programs. We ran thorough checks across the selective group of B-Schools across North America and Europe to see which of them suit him the best with respect to his ambitions, budget, and his place of preference. Finding a good B-School is not a simple task. Your choice of B-School must also be compatible to what you want to do after you graduate from there. 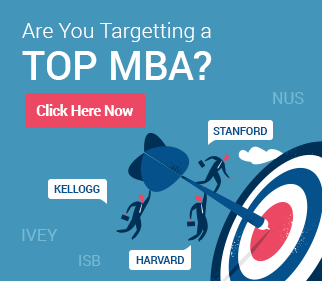 It also depends on whether you want to do a general MBA with a major or you want an MBA which can add to your repertoire. At GyanOne, we intended exactly that kind of experience to Rajesh. With an array of choices from Europe to the Pacific region, we zeroed in on the select few. To begin with, we had detailed discussions with Rajesh to see how the choices fit him. Then came the time to prepare SOPs to be submitted to those schools. Since Rajesh is more into technical domain, the school had to be contributing in that aspect as well so his future could get a needed acceleration. 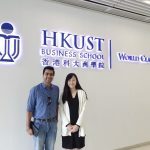 Some of the choices were the prestigious London School of Business and the University of Hong Kong which has a great platform for the domain Rajesh is in. GyanOne was very thorough in filing applications as each business school has a different metric to examine their prospective candidates. We had to find out if Rajesh has something more to tell us as there are times when your deeper character must come out to give yourself a better chance at cracking something. Rajesh was determined to tell every basic thing he has done or aims to do in future and in the process we determined his personality traits. 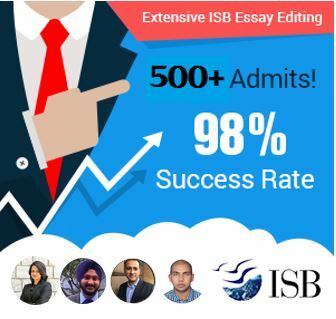 That helped in submitting some very good and potent applications to the choicest of B-Schools. Executive MBA students are able to immediately apply knowledge gained through the program back to their workplaces, which fast-tracks the learning process. London’s Executive MBA is a five-term, 20-month program. The course is divided between 2 locations – London and Dubai. Students on both the London and Dubai streams will come together in London to start the Executive MBA experience. A student joins together to undertake a total of three modules in London – at the start and end of the program. All three shared modules are residential and provide the ideal environment in which to build valuable networks with an extended group of diverse peers. Ranked in the top 20 schools by Financial Times rankings, the program admits only about 120 students per intake, and with more than 90% non-local students representing close to 30 nationalities. One can expect to meet a diverse group of talented individuals from different countries, professional backgrounds and personalities. The curriculum has been strengthened with exchange programs, business case competitions, career treks and field trips to help widen global perspective. Hong Kong lies at the heart of Asia and provides a gateway to China. Armed with strategic advantages from the regional location and business expertise, more than 80% of the graduates find career placements in Asia and find themselves well-placed to navigate the Asian century. Rajesh finally chose to go to London Business School as it is the leading school for finance. Being the centre of finance for Europe, Rajesh felt it would give him a broader and richer perspective on finance profiles world fairs, company events and unparalleled international exposure. As Rajesh’s case proved – taking the time to decide between the full –time and executive MBA can be a crucial one depending on your profile and future aspirations. We are here to assist you find B-schools, not just of your choice but the ones matching your experiences, your budgets and most importantly your future plans. We provide customized services for each of our clients and seek the best available for them in the business.